DoNotSpy10 - помогает отключить все шпионские модули, предусмотренные в операционной системе Windows 10. DoNotSpy10 похожа на старые добрые твикеры Windows, но отключает только шпионские возможности Windows 10 и некоторые другие функции, представленные в новой системе. 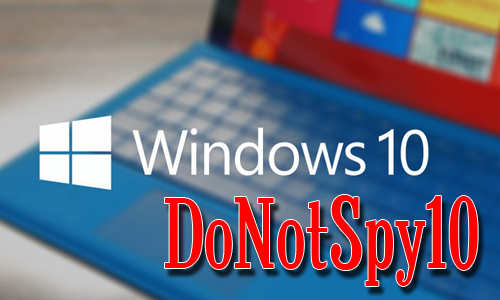 DoNotSpy10 is an easy to use privacy tool for Windows 10 that allows you to disable various data collecting and sharing features that are activated with a default Windows 10 installation. Although some of these features are meant to enable Microsoft to provide a better service experience, many users are concerned about the privacy implications. DoNotSpy10 provides you with a simple list of these features and allows you to disable the ones you dont want to use. In addition to privacy related features, the program also includes options to disable automatic Windows updates, disable Cortana, Biometrics, OneDrive, FlashPlayer, Windows Tips, Feedback requests, and more. All items are color coded to indicate which features are safe to disable and which you should be careful with.